This month’s NIH Research & Consulting (NIHR) Staff Feature is on Elaina Collins! Elaina has a wealth of knowledge and over 15 years of experience in B2B sales, marketing, and lead generation in the healthcare and technology industries. I’m passionate about the healthcare industry because it’s always changing. We’re making a positive impact for our clients, introducing them to new, cutting-edge technologies that they may not otherwise be aware of. I enjoy the one-on-one interaction I have with our client teams and sales reps. We work really well together to get in front of our prospects. I provide ongoing support and hold weekly and sometimes daily meetings. We truly have great synergy and that always propels the bottom line. I have developed a lot of great business relationships and many of our past clients bring us with them to their new roles at new companies. I love working with NIHR. I was really excited for the opportunity to interview years ago. I was referred by another consultant there, and I was well aware of their esteemed reputation. This was definitely a major career opportunity. They made it very clear that this is a top-notch company and that consultants really have to know their stuff. 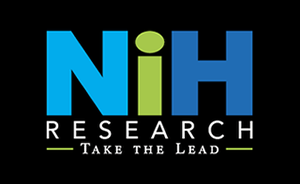 Each NIHR consultant has a highly credentialed background and extensive expertise in the industry. It’s an honor to work here. We are one of the leading companies in this niche. We have an incredible team and we have an extremely high level of integrity at NIHR. Everyone has a wealth of knowledge and vast experience in the healthcare and technology industries and we are always learning from one another, constantly raising the bar. We all have great working relationships and friendships. I have extensive knowledge and hands-on experience in lead generation, sales and marketing in the healthcare and technology industries. This plays a major role in my successes with our clients. I’m also a natural at building relationships, and I think this is a very important strength in any industry. Because of our strong relationships, a lot of our clients are repeat clients. And a lot of our business comes from referrals. I love creating connections. I’m very comfortable communicating with a wide variety of audiences. The name of the game is generating highly qualified leads, and I definitely excel in this arena for our clients. Clients value my input and appreciate my communication skills. On numerous occasions, I’ve identified major pain points and “aha” findings through our market research process, saving our clients a lot of money, hassle, and work to get from A to Z to help them achieve their ROI. I enjoy spending time with my family. We spend a lot of time on the lake with our friends and extended family. Congratulations to Elaina from all of her colleagues at NIH Research & Consulting on Staff Feature of the Month!